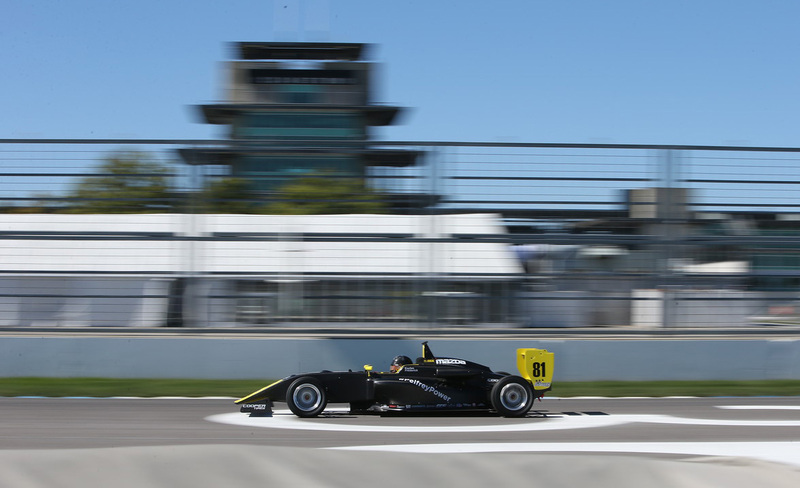 After a shakedown of the new car at Putnam Park Raceway on the Thursday before the official MRTI test, Kaylen and Team Pelfrey rolled into the Indianapolis Speedway and dug in for the weekend schedule. 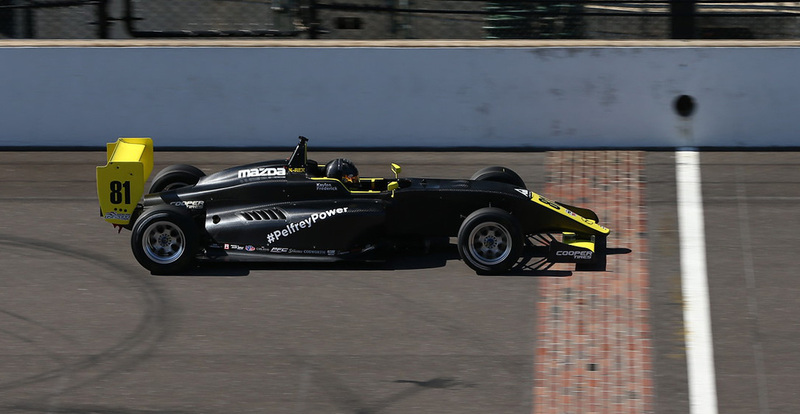 Team Pelfrey was one of twelve Cooper Tires USF2000 Championship Powered by Mazda teams to participate in the two-day, sixth Annual Chris Griffis Memorial Test at the legendary Indianapolis Motor Speedway. 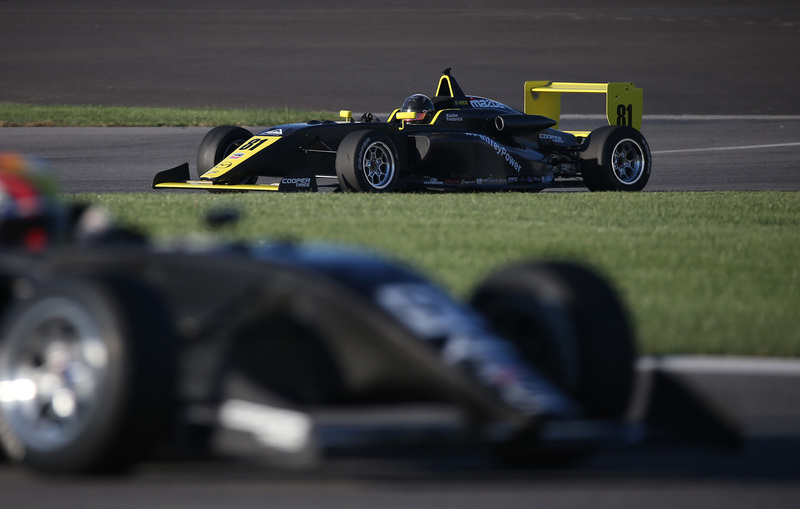 The team was eager to debut the two brand-new Tatuus USF-17 cars around the Grand Prix circuit in preparation for the 2017 season with Team Pelfrey regulars Kaylen Frederick, USF 2000 2016 Rookie of the Year Robert Megennis, and Calvin Ming piloting the current spec Van Diemen machine. A total of 1,116 laps (2,721.924 miles) were completed during the day by 20 different drivers on the 2.439-mile road course. 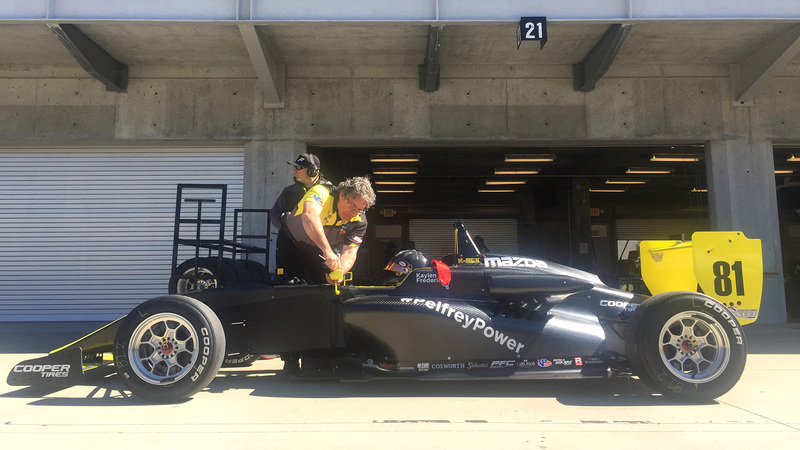 Kaylen Frederick & Rob Megennis worked along tightly scheduled test plans with Team Pelfrey’s Technical Director Tom Knapp and USF 2000 Driver Coach Tom Dyer for these two flying days at Indy. 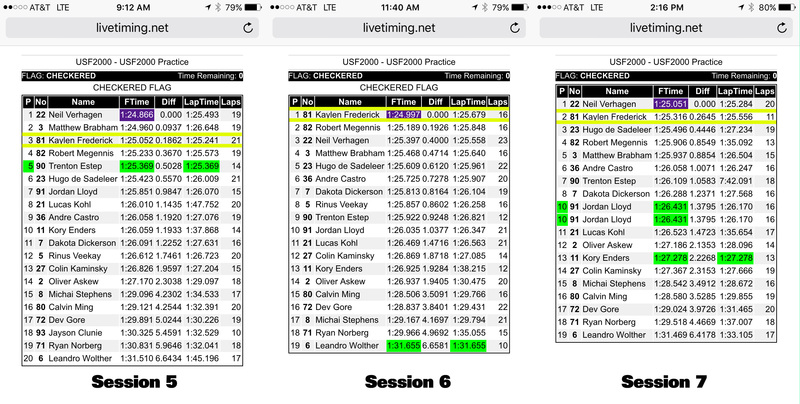 K-Rex tops the charts in session 6 – one of only 3 drivers at the Test to break into 1:24 second laps! 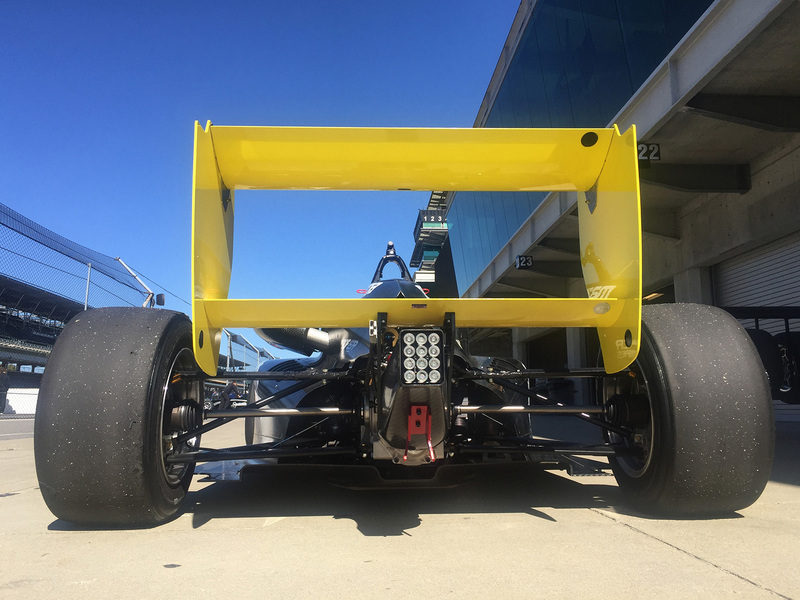 Pilot ONE Racing: Big Shout-Out to Team Pelfrey for AMAZING days at the MRTI Indy Test: Thank you for an excellent test at the Brickyard – and for preparing a fast and mean Tatuus USF-17! 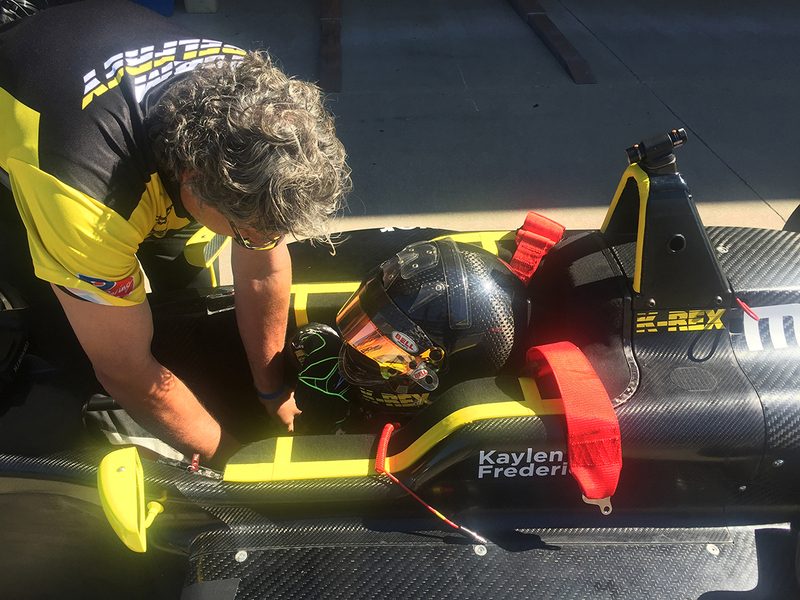 Please follow Kaylen Frederick through his 2019 race series and learn about the car he drives, the team he works with, and race news and updates! Born on June 4, 2002, Kaylen Frederick began racing in karts at age 7 leading to extensive racing in open-wheel race series as of age 13. 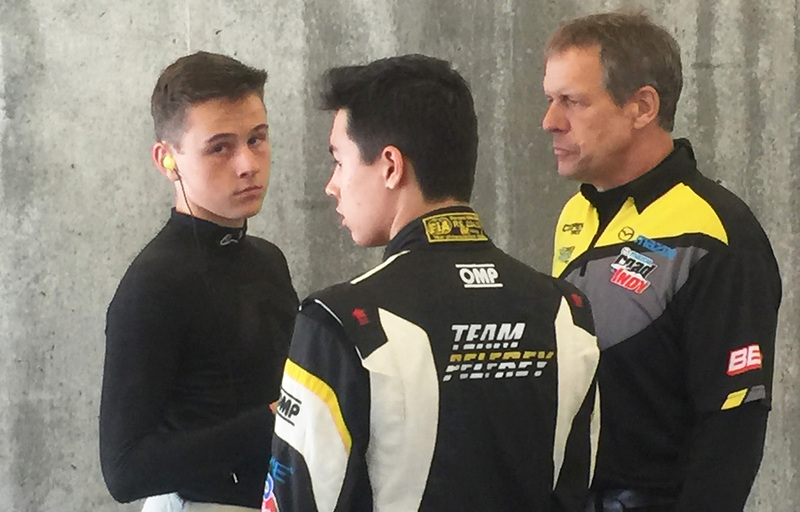 Pilot ONE Racing has supported me as a young driver talent throughout my karting career and development in Formula cars. 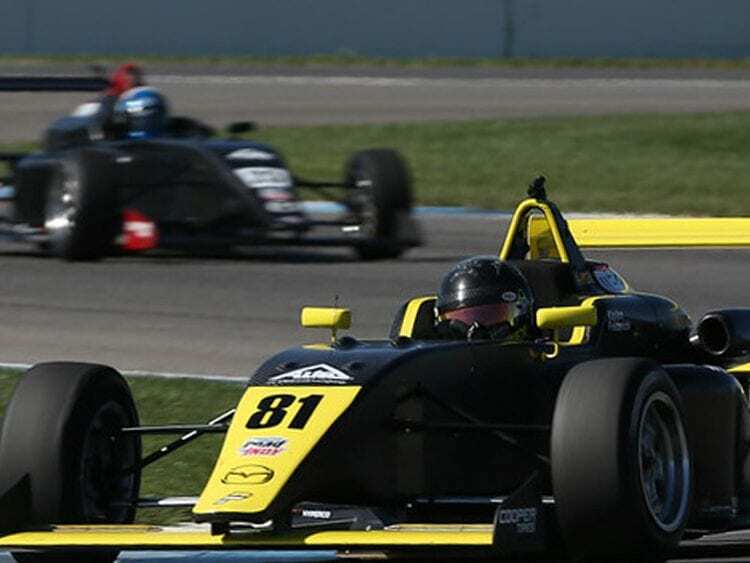 As my longstanding sponsors, I look forward to championing Pilot ONE Racing throughout my driver development years into the Mazda Road to Indy or European racing series. © 2018 Pilot One Racing, LLC. All Rights Reserved. Design by ACS Creative.